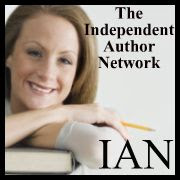 Since its inception in December 2010, the Independent Author Network (IAN) has become an important resource for independent authors who count on the site for effective and affordable book promotion. Over 40,000 readers visit IAN each day to find great books by our talented authors. Members are asked to Tweet and facebook link their IAN Member page as much as possible and the pages of other members when time allows. Active members are seeing over 10,000 hits to their IAN page per month! Members are reporting sales increases shortly after joining. IAN member pages are Search Engine Optimized and search well at Google, Yahoo, and at other search engines. Search a member and chances are the member's page shows up on page one of the search. We promote our members 24/7 to Twitter.com. We post over 100 member pages every day to 435,000 followers. Members use the #IAN1 hashtag where we re-tweet hundreds of member tweets. Due to increasing site costs we charge a small onetime setup fee for membership. This fee will not be charged again! Those authors who would like to join are directed to fill in and submit the Membership Submission Form. These files will be used to build your IAN Member page. The page will be built after we receive the setup fee through Paypal. When we receive the complete form you will be contacted with a link to our Paypal page. All members will be able to have articles such as book reviews and interviews posted to The Independent Author Network Blog. Memberships: Please visit the FAQ for more info. >A Bronze Membership is a full Member Page with BIO, large book covers, up to 3 books with buy links, PDF sample downloads, 1 video trailer, and the ability to sell print copies. Up to 6 books included in the Book Directory. A Basic Membership is $24.95. Payable through Paypal. This is a one time only fee! 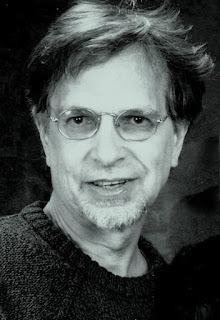 >All members can have interviews, book reviews and guest posts posted to this high traffic IAN blog. >All Member Pages are Search Engine Optimized and soon show up on page 1 of both Google and Yahoo!